Cultivating Concepts: A Quick Slice Before the Challenge! seemed to be less drab beneath my feet. as I flipped and fingered my wind-blown hair. as blinked and swallowed in the sun and wind. and decide not to stay. Don't forget to join the Two WRITING Teacher's and the FIFTH annual Slice of Life Challenge!! You will be so glad you did. Your writing life (and life) will never be the same again! Also check out my bestest teaching bubby's blog First Grade Delight. She has over 200 followers!! wow O WoWWIe!! We're celebrating with a give away! Hop over and send her some love she is THE best! 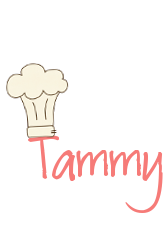 I love the style of your poem, Tammy & the words in the lines move so smoothly through your verses. I especially like "I heard it as the birds woke me in the morn/Just a bit earlier, and happier/than the week before." Do you really see the crocus pushing up? We have crocus and jonquils already amazing isn't it! I'm looking forward to spring. It's been a mild winter here in Chicago, so no complaining . . . but your descriptions reminded me of what I'm looking forward to! CUTE blog! Just found you! Can't wait to check out the rest of your creativity! Super cute blog!! I am a new follower! !